Guess what I’m watching now?! If you guessed the penguins at Antarctica: Empire of the Penguins (even though I’m not at the park today), you’d be right! 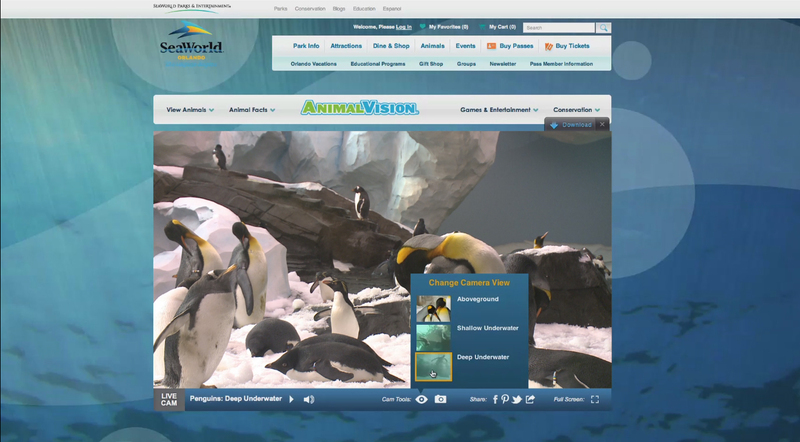 SeaWorld Parks and Entertainment has launched “AnimalVision™” which you can view 24/7 at www.AnimalVision.com. Penguins can be seen as well as stingrays from Aquatica in San Antonio and sea turtles from SeaWorld San Diego’s Turtle Reef®. 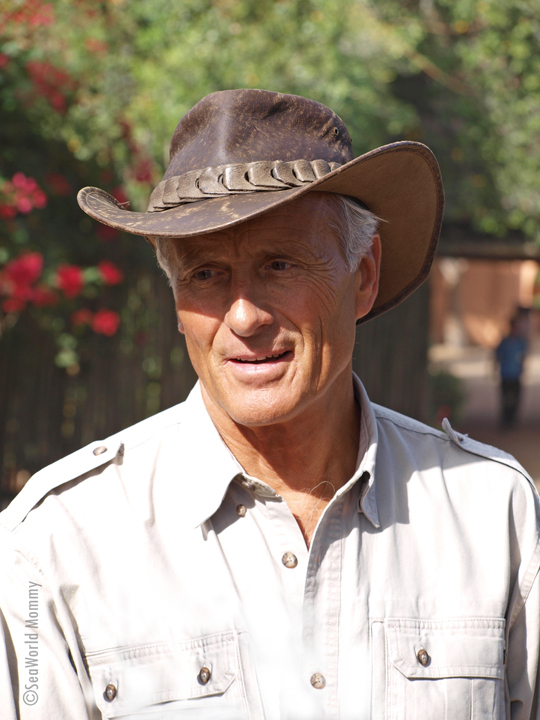 “AnimalVision allows our guests and fans to deepen their connection with animals. For some guests, being able to see these remarkable animals at the park and then continuing that voyage of exploration at home serves as a reminder about the important role we all play in helping these animals. 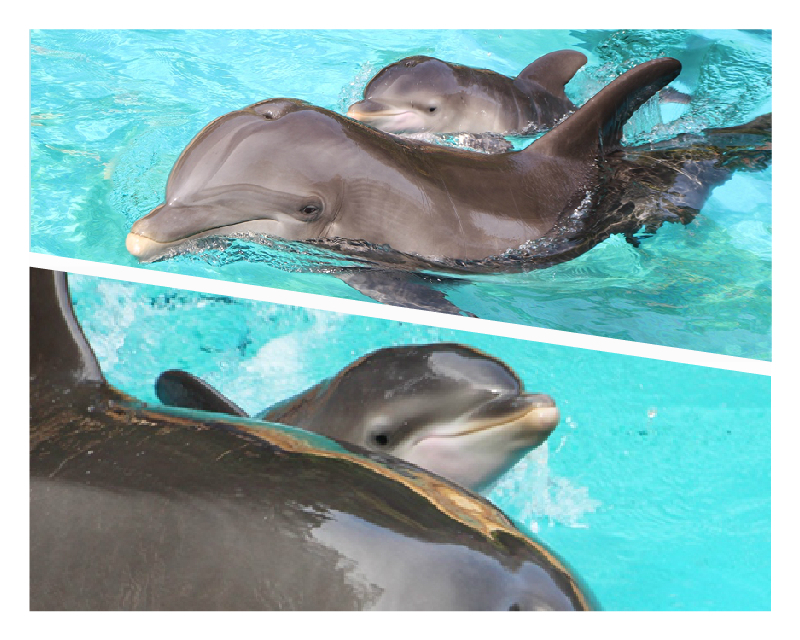 For those planning a park visit, seeing our animals up-close will get families excited about visiting in person,” said Anne Fischer, director of interactive marketing for SeaWorld Parks & Entertainment. 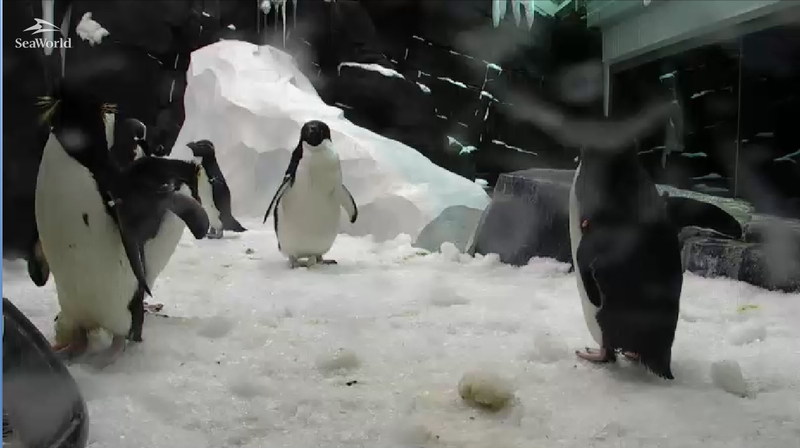 I had so much fun watching the penguin-cam that was up (in partnership with Discovery Channel) for six weeks last year. 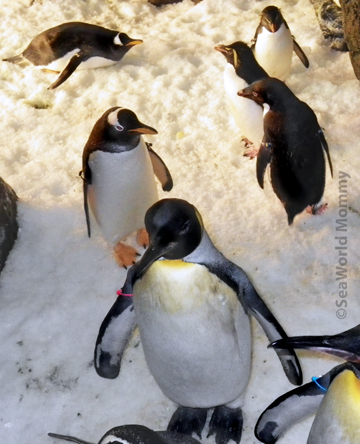 (Fans—not just me!—spent 1.5 million hours watching the SeaWorld San Diego Penguin Encounter. I can predict a lot of hours will be spent logging onto these great animal cameras so I can watch my favorites when I’m not there in person! 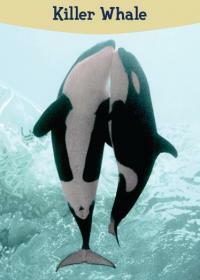 Today my son and I are going to SeaWorld. Sure, we’ll stop by the Nautilus Theater to hear “Jungle” Jack Hannah for the 1:15 show (read more about it here), but our main goal is to stroll around together, just taking in the sights and enjoying the “little things” we love about SeaWorld. I remember when my son (now 6) was just learning to walk. When he waddled up to the step along the edge of the Stingray Lagoon, our hearts melted. Wow, our big boy could get up there himself! And boy did he laugh when they splashed his little face. We spent a lot of time around that lagoon. When kids are little, there is a lot of emphasis placed on “tactile” learning. He sure got a lot of that! From the silky smoothness of the ray, to the cool water splashing on us. Occasionally we found stingray dental plates and we’d hold them in our hands and Daniel’s eyes would get SO big at this item so tiny. Today, when the park is bustling with extra visitors for their very special guest, we’ll say HI, but to me, the most special guest is my boy. 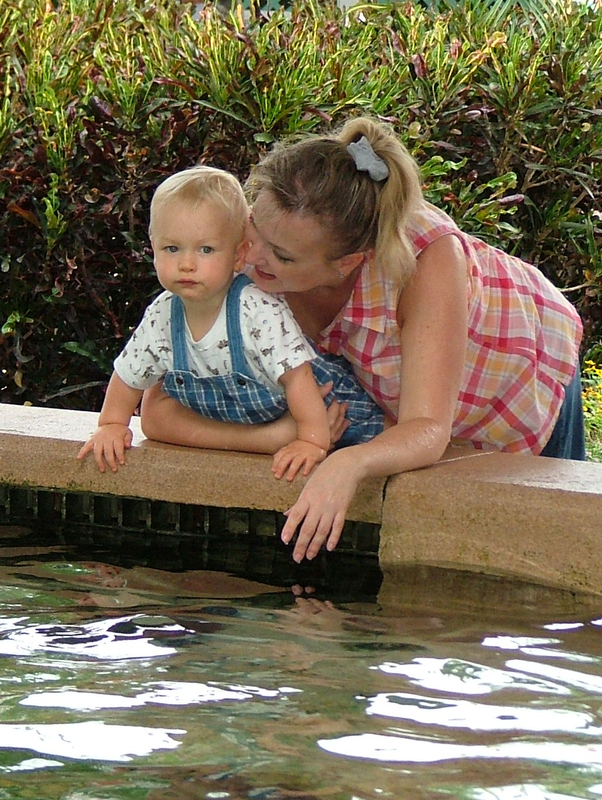 He’ll hold my hand as we enjoy getting splashed, and as we take in all we can while he’s still a “little thing,” though he won’t be for much longer…. Penguins are arguably some of the cutest creatures on the planet. Some love them for their way-cute waddle. Others admire the way they cut through the water with ease. The more formal types might like that they’re dressed in black in white every day! I can’t decide which of their adorable characteristics I love more! I just know that they are some of my personal favorites, so much so that for my birthday this past year, all I wanted was a chance to get up close and personal again with one at SeaWorld. I’ve been missing my little friends for months while the Penguin Encounter has been taken down, and the new Antarctica… Empire of the Penguin is under construction. The first-of-its-kind family ride will transport guests into an Antarctica penguin’s world. Quick fact break: Not all penguins live in cold temperatures. 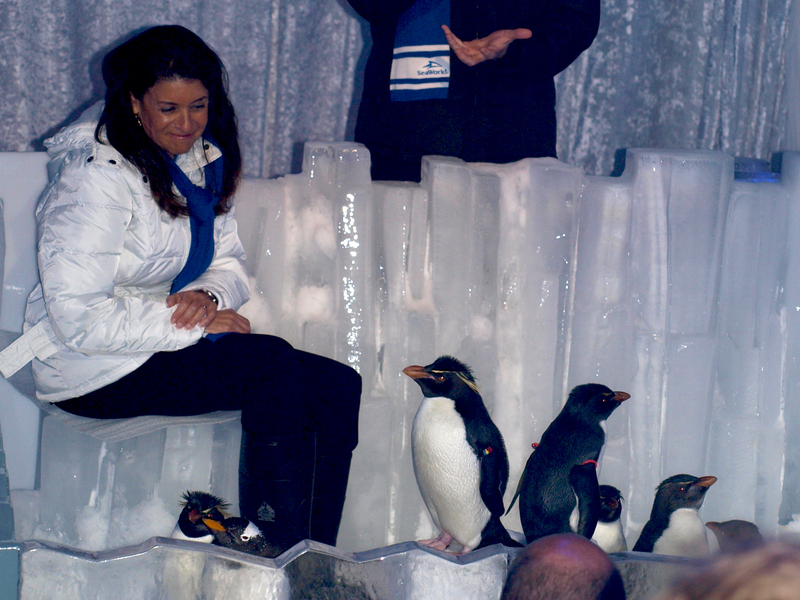 Goofy me with a grin that says I LOVE PENGUINS! 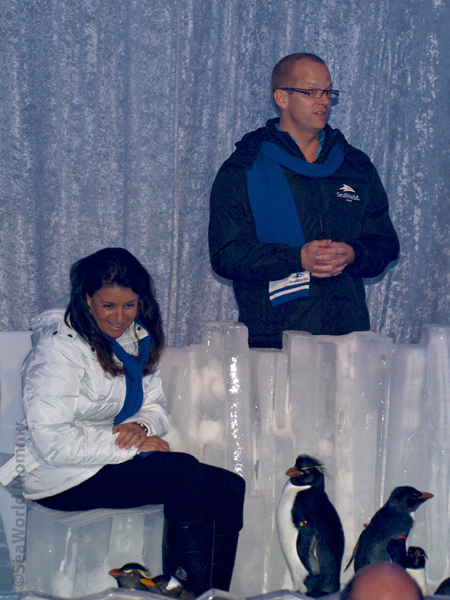 Our family has spent literally hours in Penguin Encounter, and we were fortunate enough to have been picked a number of times for a behind-the-scenes “meet and greet” with the stars. In the Encounter format there were “Penguin Talks” at 2 p.m. in the afternoon. If you were in there and paid close attention to the educational presentation, you were given the opportunity to “win” a trip backstage. My son (soon to be 6) has never been more proud of Mama than when I poked my hand up the fastest and then (whew!) answered the question of the day(s) correctly. I’m not kidding when I say that I felt like I was on a game show. 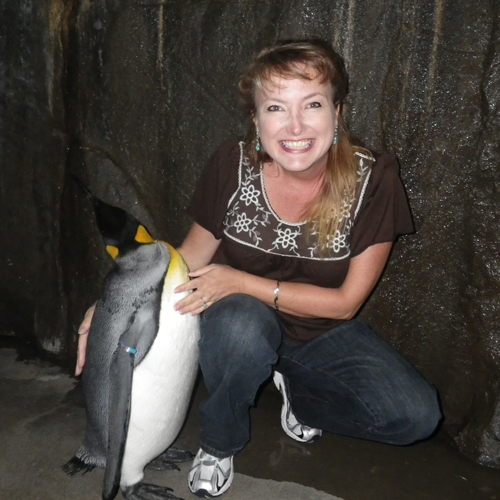 There was a LOT of pressure from my short fellow SeaWorld fan to meet those penguins! Now we’re ramping up for the all-new experience. It started when I went to the media preview in November, 2011. 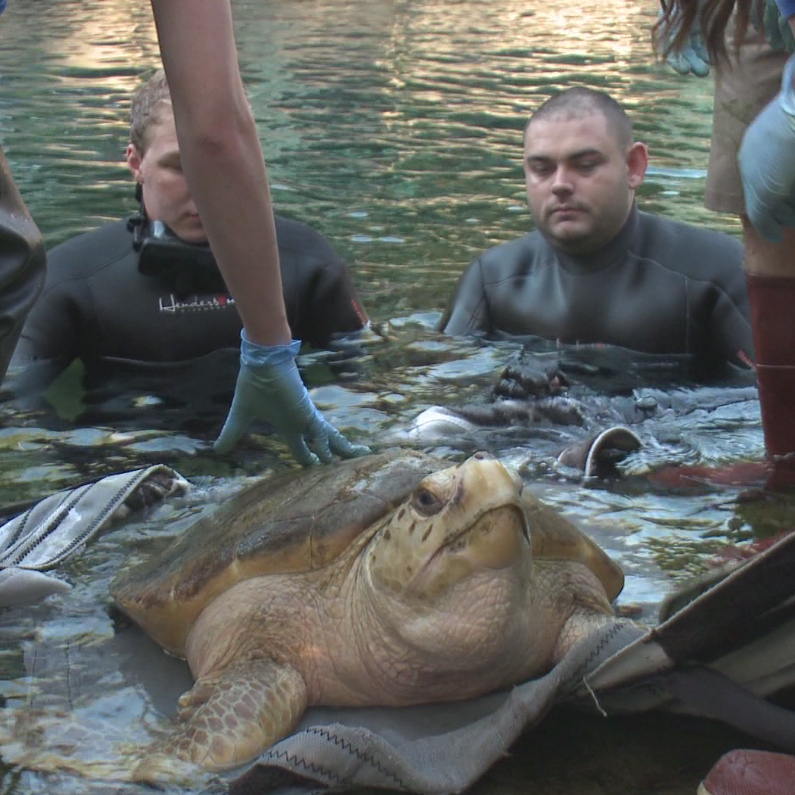 Julie Scardina, animal ambassador, was there to greet us and Brian Morrow shared all the exciting news… How it’s going to be the “coolest” (literally!) theme park attraction in the world… and how guests will experience a state-of-the-art interactive ride that makes the adventure different each time. We’re getting a taste of the fun with the new SeaWorld app: SeaWorld’s Antarctica (available in iTunes, with Android platform coming soon). 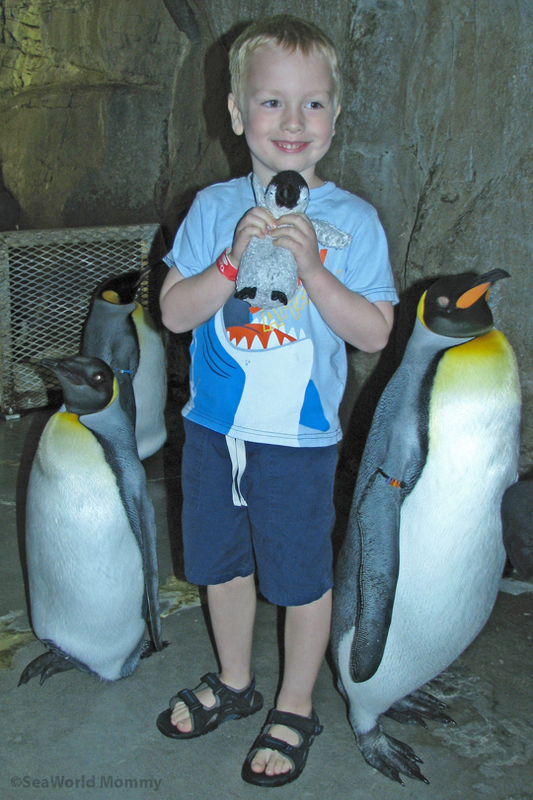 On it you’ll find penguin facts, a fun photo game (check out my little guy as an explorer here), and info about the seven-city Epic Voyage campaign being launched in New York City. 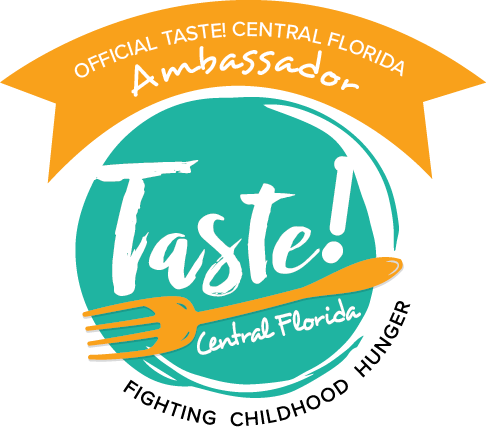 Street teams will ensure people can “follow the freeze” as teams visit malls and consumer travel shows. I’m trying to figure out what city I can visit to participate in the ice dome, photo ops, Antarctica games and (my favorite) live penguins. They’ll also have a Coca-Cola Freestyle machine serving Coke products which, as you know, is our family favorite. 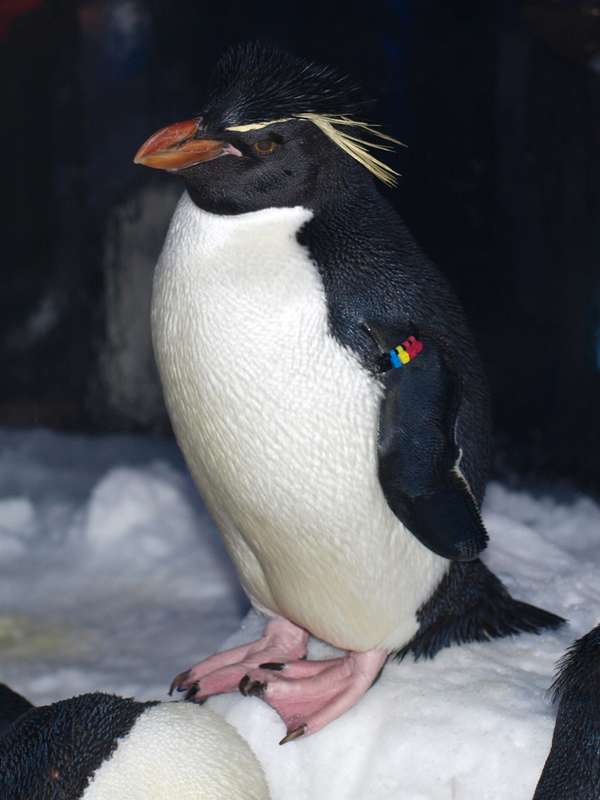 Quick fact break: ALL penguins live naturally in the Southern hemisphere). If you’re as penguin-obsessed as our family, you’re no doubt donning some sort of penguin item in honor of penguin awareness. 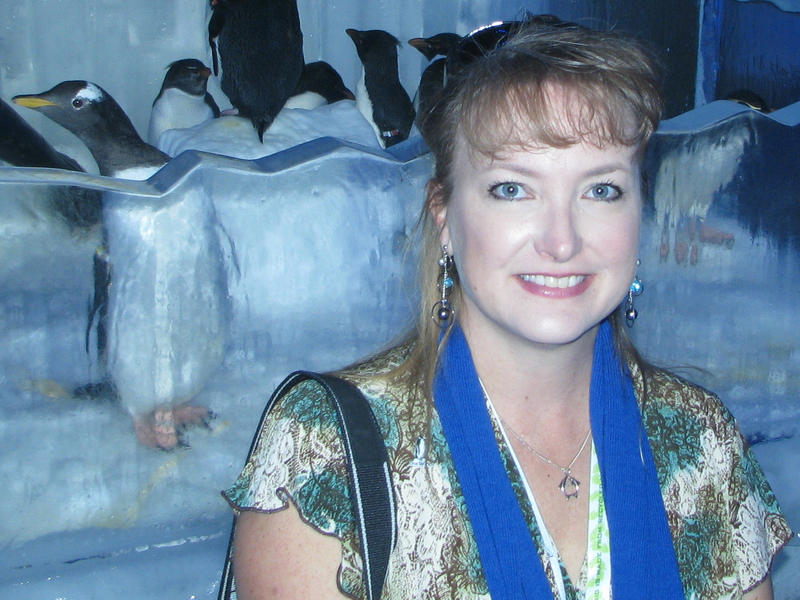 I have on my penguin necklace, a gift from my son (maybe for getting those questions right!). I’m saving our matching penguin T-shirts for the grand opening of Antarctica… Empire of the Penguin. I may, however, have to sport ALL my penguin garb if I’m luck enough to #jointhevoyage with the Epic Voyage tour. 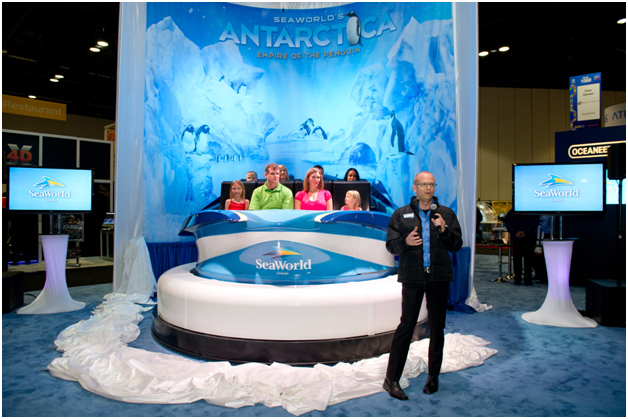 The new ride car for Antarctica: Empire of the Penguins was revealed this morning at the International Association of Amusement Parks and Attractions’ (IAAPA) Expo 2012 in Orlando. The state-of-the-art adventure ride puts visitors closer than ever to hundreds of kings, gentoos, Adelies and rockhoppers. 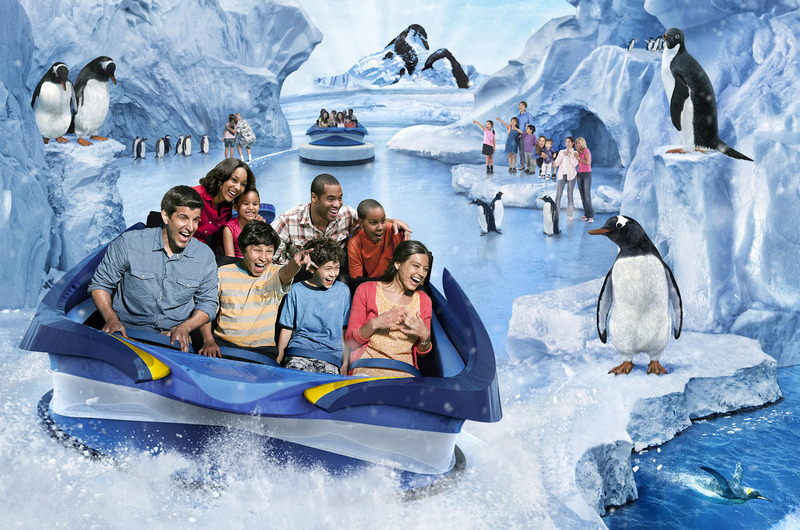 Set to open Spring, 2013, Antarctica: Empire of the Penguins will be the coolest ride in the WORLD! 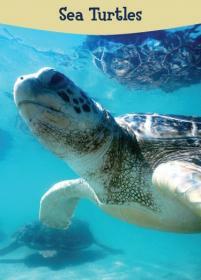 Each of the members of SeaWorld Parks and Entertainment will be celebrating Earth Day 2012 in their own unique ways. 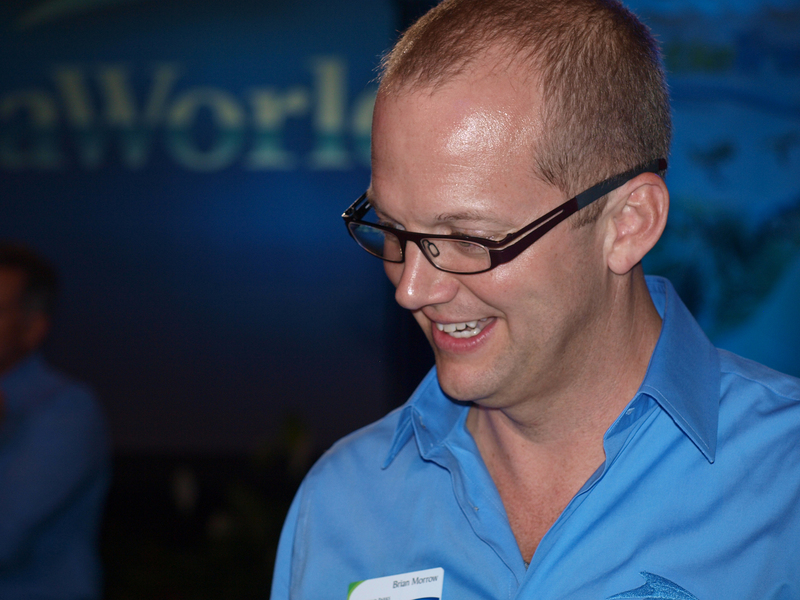 SeaWorld Orlando is putting focus on conservation education. 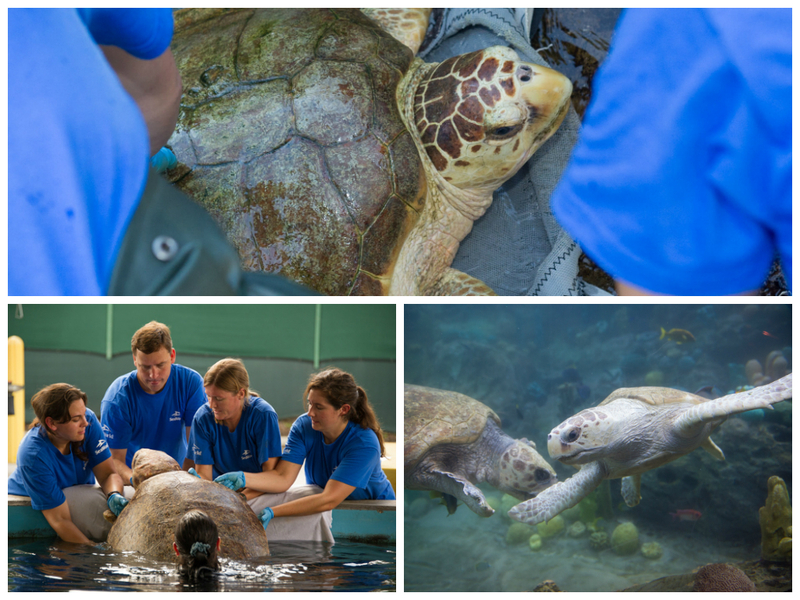 Guests visiting animal interaction areas such as the Sea Garden, Pacific Point Preserve, Wild Arctic and the Shark Encounter can approach the education team members in light blue shirts. Ask questions and answer some and you will be eligible to receive a Conservation Collector Card (there are currently 35 different cards in all). As a special treat, on Sunday, April 22, SeaWorld Orlando will be giving out special keepsake sleeves for them at those education encounters. 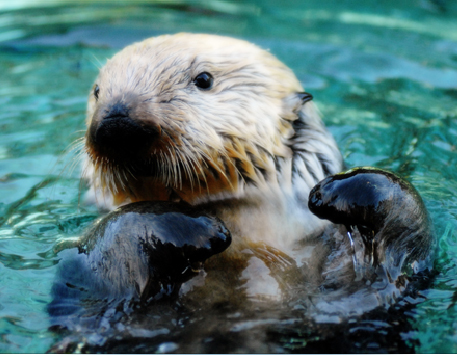 This week, September 25 to October 1, is Sea Otter Awareness Week. Defenders of Wildlife, with support from the SeaWorld & Busch Gardens Conservation Fund, is educating the public on conservation programs and education on the sea otter’s role in nearshore marine ecosystems on California’s Central Coast. Sea Otters are Playful and FUN to watch! SeaWorld San Diego is home to some very playful Sea Otters at Rocky Point Preserve. They were originally stranded and were rescued as part of the Monterey Bay Aquarium’s Sea Otter Research and Conservation program. You can help save California Sea Otters by participating in the various programs and initiatives sponsored by Defenders of Wildlife. 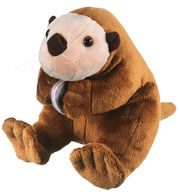 You can even “adopt” a sea otter! For more information, visit: http://www.saveseaotters.org. 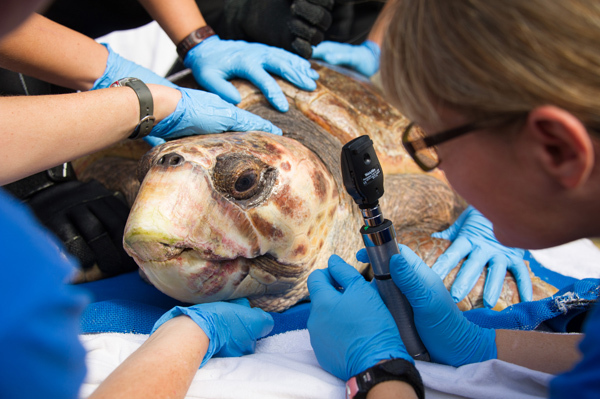 For more than 40 years, SeaWorld Parks & Entertainment – encompassing SeaWorld, Busch Gardens and Discovery Cove – have initiated and supported wildlife conservation, research, and education at home and around the world. 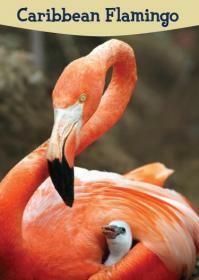 Honor someone you love, or donate “just because” to the SeaWorld Busch Gardens Conservation Fund. 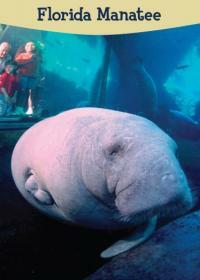 You can also read more on SeaWorld’s blog.